Here is the chance to own a very sought after radio for the collector. The electronics have been restored and the radio plays nicely with a long wire antenna(not supplied). This is a four-tube set. 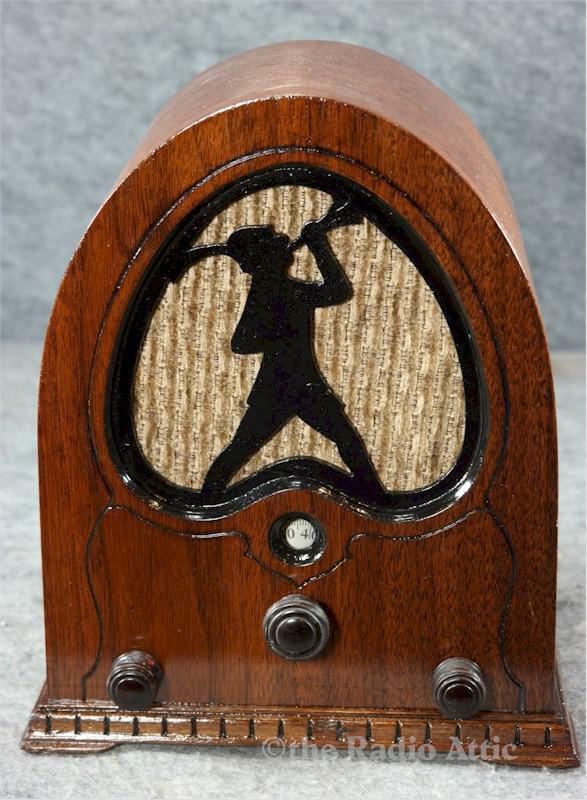 If you are looking for this hard to find radio you won't find a nicer example than this one. Only 11"H x 9-1/2"W x 8"D.
You are visitor number 1,558 to this page.